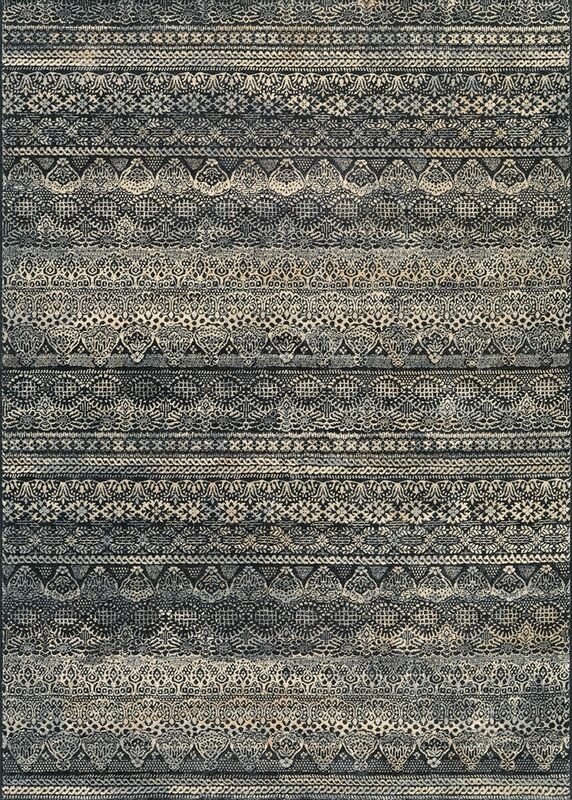 Couristan Easton Capella Area Rugs Capella Black Grey / 2' x 3'7"
Capella Black Grey / 2' x 3'7"
Showcasing a unique fusion of modern European influences with classic design elements the Easton Collection offers a sophisticated fashion statement for today's transitional interiors. These plush area rugs instantly bring a sense of stylish comfort to any space and create a beautiful foundation for elegant living. Face-to-face Wilton woven of 100% heat-set Courtron polypropylene, this ultra-fine synthetic yarn is both durable and lavishly soft. Adding even more luxury to the collection, Easton area rugs have one million points of yarn per square meter resulting in a dense surface that feels rich and indulgent. With a chic range of designs that include large-scale floral motifs as well as more contemporary/abstract patterns, Easton offers a fresh aesthetic which appeals to a wide-range of decorating tastes. Featuring a soothing color palette of modern neutrals, like Lavender, Gold, and Cream, these artistically-styled area rugs have a subtle abrash effect reminiscent of a watercolor painting.